I am writing this for Marshall my neighbor. He has a glass cuddy fishing boat in Malletts Bay guessing 22-24 ft. He asked me if anyone would like to go fishing next season with him as he doesn't want to go out alone. 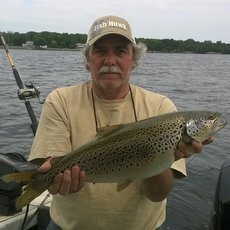 Here is his contact number: 876-7579.
hey ron,is he looking to frostbite fish???? I contacted him and ice fishing wasn't his interest. He's looking for help on his own boat which he keeps in Mallets Bay. what is the area code for that number? You'll be in my neighborhood if you fish out of Mallets Jason. okay jeff,ill let you know if things work out.